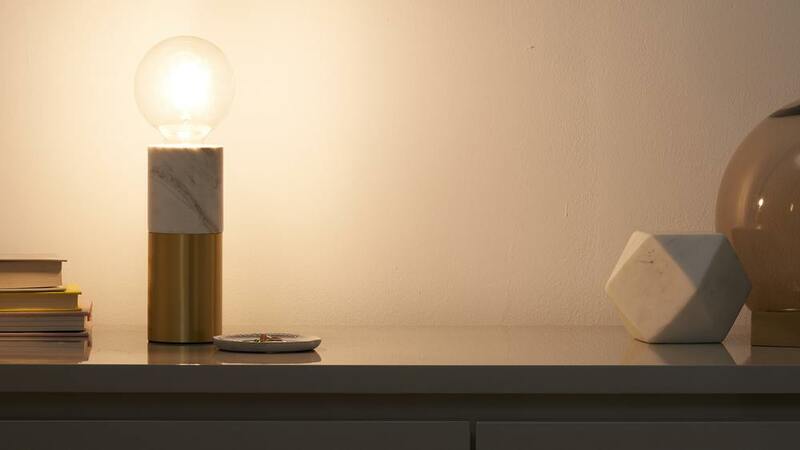 The Oscar White Marble and Brass Table Lamp is an inexpensive makeover for your bedroom, study or living room interior. 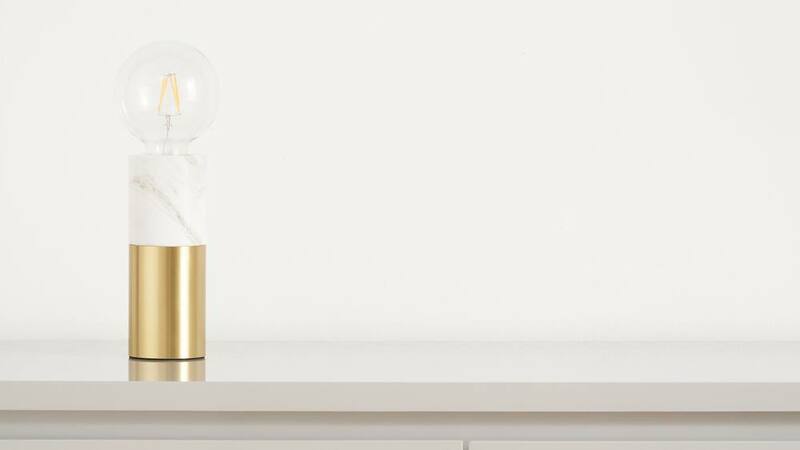 This modern light will help illuminate dark corners and provide accent lighting as you work, read, or get ready to go out. The height of the Oscar lamp, without the bulb, is 18cm. Although small, the Oscar lamp still feels very substantial with a nice weight to it. So you needn't worry about the light being easily knocked over. 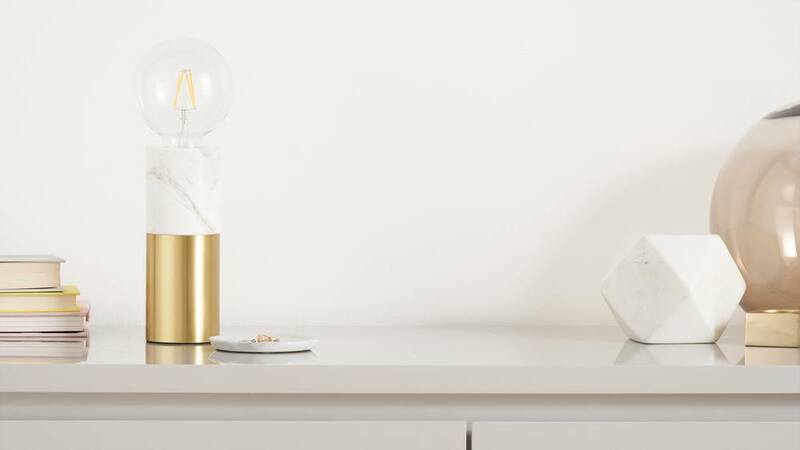 This contemporary table lamp has a white marble base with a brass trim This colourway of the Oscar light is bright, fresh and very contemporary. 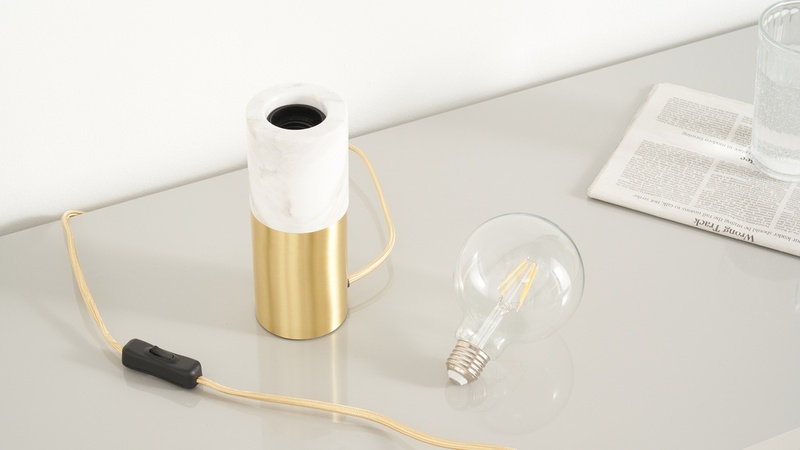 The metal detailing on this desk lamp offers a flash of colour but in a subtle way. Lighting is a great way to introduce modern finishes to your home without it looking overpowering. The bulb for the Oscar light will be included. We've selected a clear decorative filament bulb to accentuate the modern good-looks of this table lamp. The Oscar lamp has a 1.5 m cable. So you'll have no trouble placing this lamp in your room as it doesn't need to be right by a plug for the cable to reach. 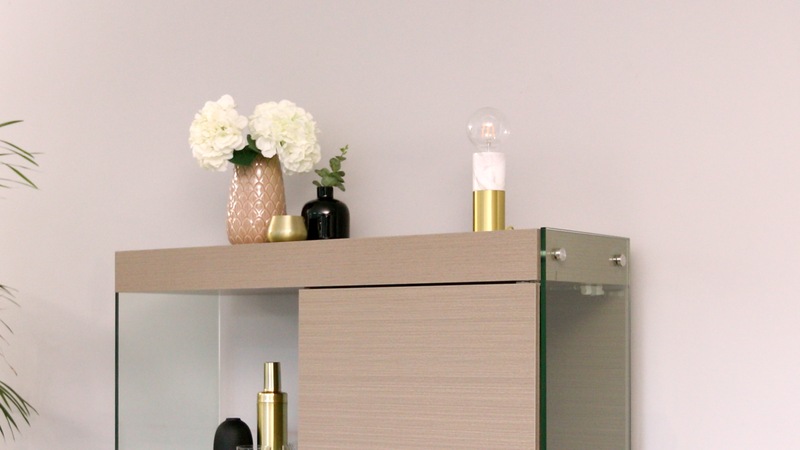 The Oscar light is also available with a black marble base if you're after a lighter look.